A chunky art bucket of big chalks for little hands, in an array of rainbow colours. Durable and vibrant, these are just the job for all sorts of creative activities. Use them for outdoor murals, pavement painting and much more. 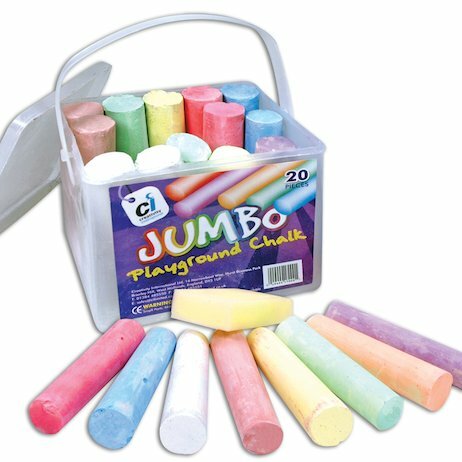 This handy bucket contains 20 jumbo-sized chalk sticks, each measuring 10cm x 2.5cm diameter.